ISM-Houston invites you, your colleagues and your friends to join us for our first Emerging Professional (EPG) Mixer of this year. Join today's innovators, pioneers and transformers who are reshaping the global supply chain and procurement markets as they rise as leaders in their respective organizations. Takeaway attributes of supply management leadership from topics such as people, process, technology and strategy development. Join us for a summer night of networking and empowering with today's emerging professionals! Bob is a director at WG Consulting. 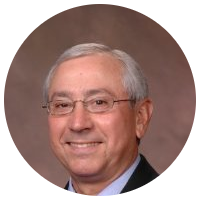 He is an innovative and resourceful executive and consultant with over 45 years experience in supply chain management and professional services. His early career included serving as a leader in supply chain management practitioner roles for major and independent energy companies. After his practitioner career, he has served in business development roles in the professional services industry. He has a proven track record of developing superior results by assessing the needs of the business or project, and implementing business transformation, holistic strategic sourcing, organizational design, contract management, process improvement, materials management, supplier relationship management programs and change management that optimize the value from the supply chain. 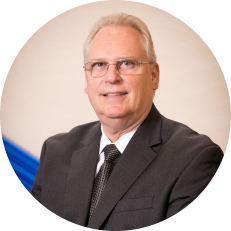 Throughout his career, Bob has lead project teams, performed assessments and has a thorough understanding of the challenges that face supply chain management organizations as they strive to become more effective and efficient. David Allen is an experienced chain leader who worked for Shell Oil and one of Shell's divested companies for 38 years. David spent his entire career in supply chain management. David was one of the architects of Shell's Category and Contracting Process, which is the primary methodology used by Shell's Contracting and Procurement Group to acquire goods and services. He is actively involved in ISM-Houston as a former President and current Board Member, mentoring emerging professionals and providing support for its CPO Executive Advisory Board. David also provides guidance and assistance for Thomasnet/ISM's "30 under 30" Program. What Is The Emerging Professional Group? Emerging Professionals Group (EPG) is a committee within ISM-Houston that focuses on the development of Supply Management Professionals in the first 10 years of their careers. The committee benefits Supply Management Professionals by providing an avenue for personal and professional growth and opening opportunities to learn about Supply Management beyond their jobs. By registering for this event, you provide ISM-Houston, Inc. your consent to be included in photographic and video recordings of the event.